You may have heard the devastatingly sad story of death of Austin's own Bakari Jaward Henderson. Bakari is the strapping son of Phil and Jill Henderson and the distinquished brother of P.J. and Jory Henderson. While on a trip abroad in Greece to celebrate his recent graduation from the University of Arizona and to work on his business venture of starting a clothing line, Bakari was killed on the Greek island of Zykanthos. He attending Anderson High School until his junior year and graduated from Hyde Park Baptist High School in 2013. 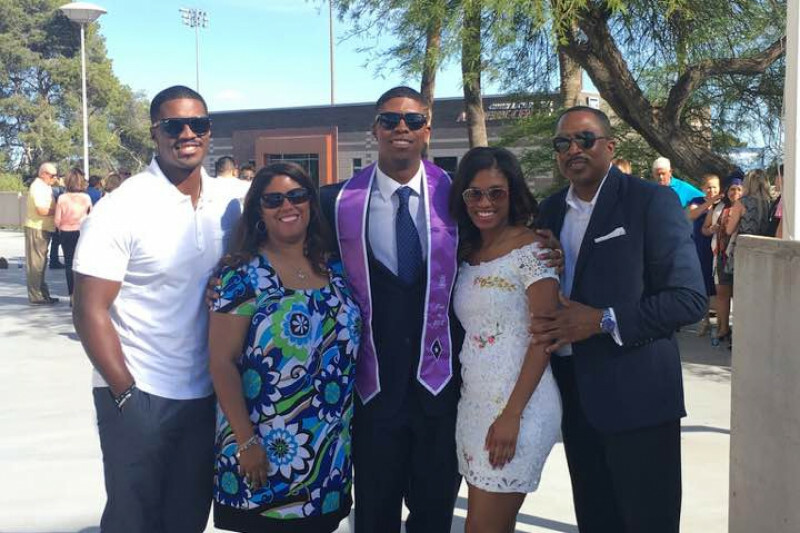 In 2014, Bakari was presented to the Austin community as a accomplished beau by the Austin Chapter of Jack & Jill of America, Inc.
Bakari attended the Eller College of Management at the University of Arizona on a full academic scholarship. He graduated on May 12, 2017 with a Bachelor of Science degree in Finance and Entrepreneurship. Bakari was excited about the next phase of his journey. He loved life and lived it to the fullest. As the family completes their efforts to bring Bakari home and plan a homegoing service, several unexpected expenses are certain to arise including the engagement of legal counsel in Greece. All contributions are appreciated and no contribution is too small. The family is grateful for your prayers, visits, and beautiful sentiments remembering their beloved son and brother. Continue to keep the Henderson Family in your thoughts and prayers. Watch the Henderson Family's compelling interview with Gayle King on CBS This Morning: https://www.cbsnews.com/news/american-killed-in-greece-bakari-henderson-family-speaks-out-first-time/. Let's stay in hot pursuit of Justice for Bakari! Austin news station KXAN has corrected its misleading broadcast concerning the legitimacy of this account by affirming during its 10 pm broadcast on July 10th that the family has approved and will benefit entirely from the proceeds raised on this site. I continue to be overwhelmed by the generosity of our community, in response to the light and love generated from Bakari's life and from the lives of his entire family. Thank you for your contributions!